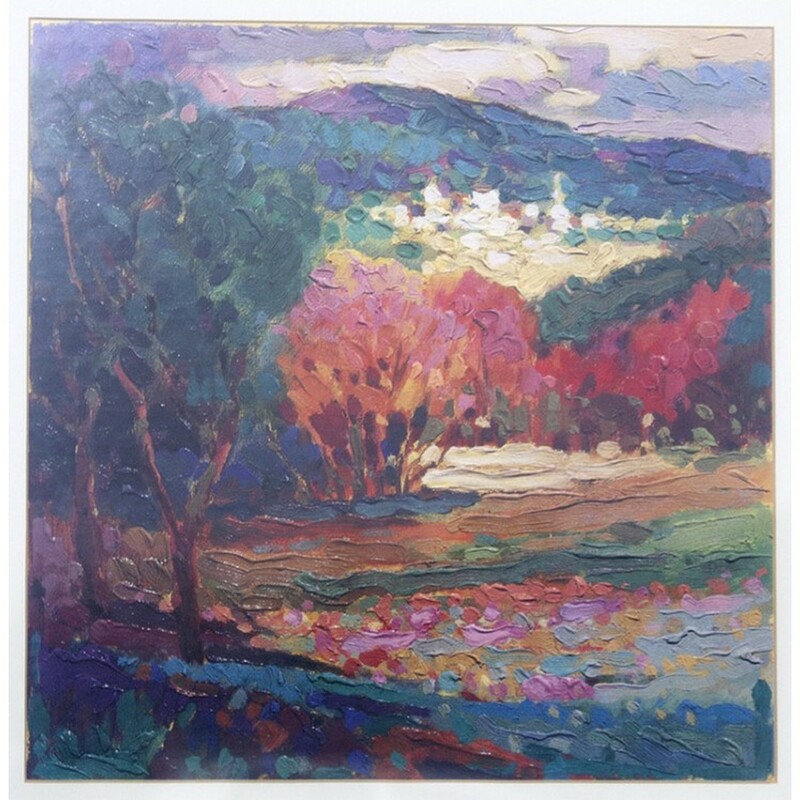 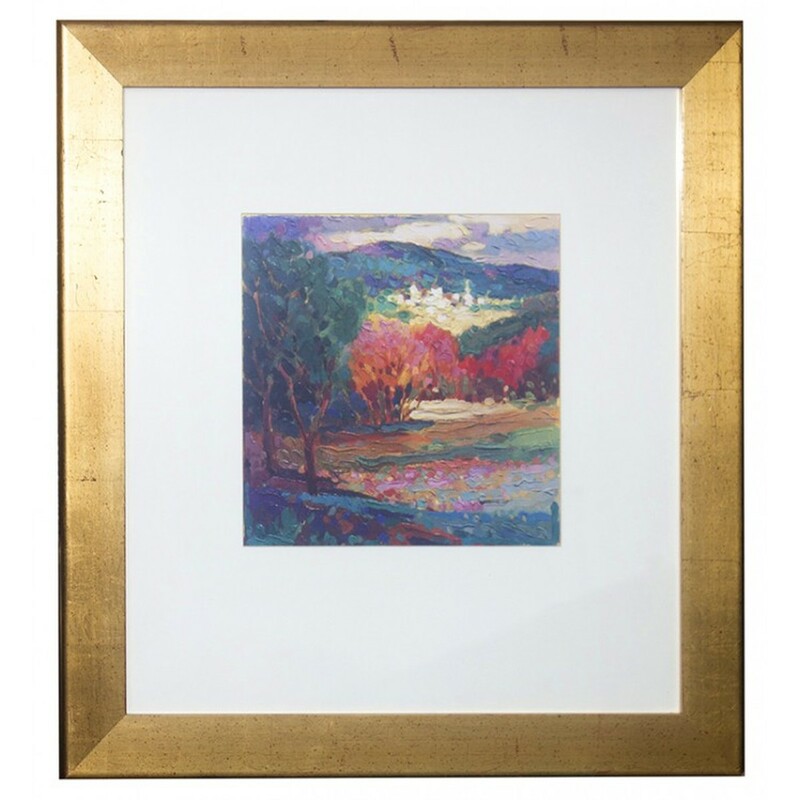 Gold Painted Wood Frame Painting (Mountain and Red Trees). 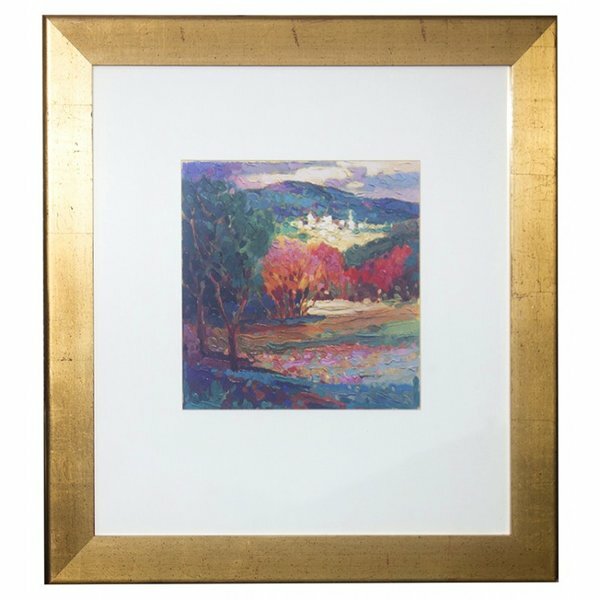 This painting of a mountain and red trees includes a gold picture frame, with a scratched effect red coating. 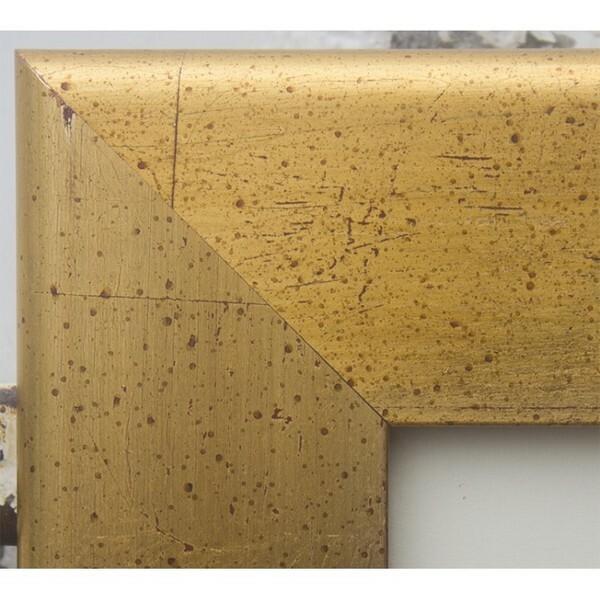 The gold finish itself is smooth to touch, and reflects light in an eye-catching fashion; perfect for well lit areas for restaurants, hotels, pubs and B&B. The outside edge of the frames hosts a interesting depth and profile to the art display.